The Paper Chair is the result of the research on how a sheet of paper can become strong when bended. With a thin metal frame a sheet of metal is laser cut, bended over the structure and welded in few hidden points. 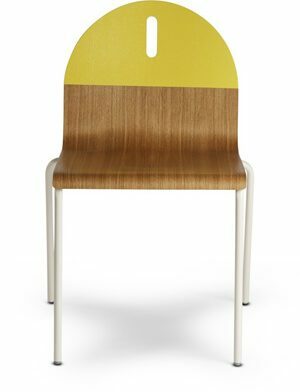 The Paper Chair is covered with a waterproof metal treatment and suits both indoor and outdoor purposes. RAL colors available upon request.